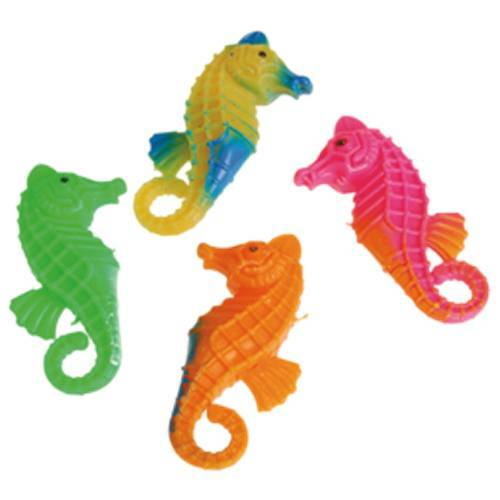 Decorate any beach or luau party theme with these plastic seahorse. The small seahorse come in a variety of colors that will nicely compliment a party favor bag. US Toy has party favors, party supplies, party decorations, and much more for any Hawaiian luau, tiki party, corporate event, birthday party, classroom party, and more.